To say Instagram is popular is an understatement. As of June 2016, the community has grown to more than 500 million users, and more than 300 million use it every day. Social analytics and reporting company Locowise reports that the average user now follows 400-500 accounts — a jump from 250 one year ago — which also means there’s a lot more content (including sponsored ads) for users to sort through. There are 95 million photos and videos uploaded and shared daily. Paradoxically, its popularity has led to a decrease in organic reach and engagement — a trend that’s already been seen in other channels like email and Twitter: the larger the audience, the lower the engagement/click-through rate. Instagram’s new Stories feature is the platform’s bid to combat this decline by allowing users to share all the moments of their day as a slideshow in a bar on the top of the screen. Like Snapchat’s My Story, the slideshows and/or videos only appear for 24 hours. Up to five Stories can be featured at a time. Instagram Stories also provides a behind-the-scenes “View Counter” that includes the usernames of the people who viewed each Story. As the new social media darling, experts have touted its marketing potential primarily because of the platform’s reach and high engagement rates. Since it was acquired by Facebook in 2012, Instagram has also opened up opportunities for advertisers, such as carousel ads, which give brands more storytelling flexibility, and increasing the length of video ads to 60 seconds. For banks and credit unions looking to be more relatable or show just how well they fit into consumers’ lives, Instagram might make sense — particularly for larger institutions, and those who have already mastered the other major platforms (Facebook, Twitter, YouTube and LinkedIn). But Instagram probably isn’t going to move the needle for the majority of financial institutions. It could be a gigantic waste of time for many banks and credit unions, with very little ROI in terms of growth. If you are going to use Instagram, at least use it to its maximum potential. Here’s are a few ideas you should consider. Images speak louder than words. 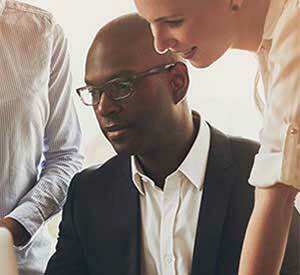 Instead of simply writing a post about employee volunteer efforts, showcase them in a photo. Actions can make a bigger impact when there is a visual to support them. Meredith Olmstead, founding partner at Social Stairway, suggests financial institutions find a way to be inspirational and aspirational in ways that express their brand. Highlight the personalities of your institution and give customers a reason to look forward to seeing what is happening behind closed doors. 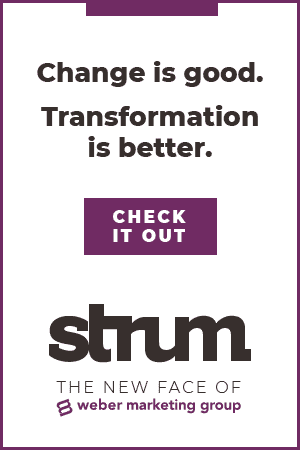 “Share real photos of customers and employees doing real things. 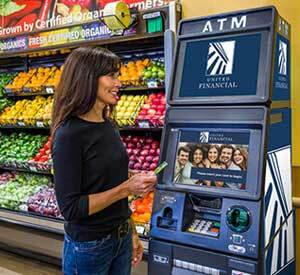 Behind-the-scenes photos are very popular because people like seeing what goes on at their bank or credit union,” she said. 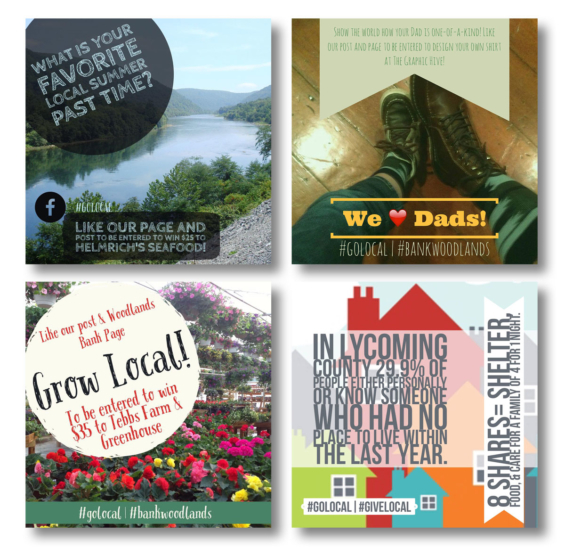 Instagram is a visual platform, so you’ll have to put some thought into the images you share. Keep in mind how it relates to your business and how can it benefit your followers. Does it tell a story? Does it sum up the feelings and emotion behind your event? 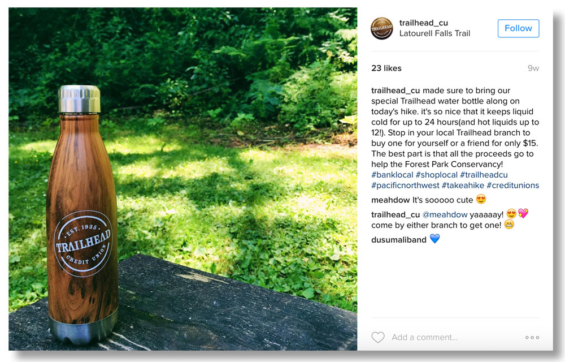 Since hashtags on Instagram help users find content, tagging posts makes you a part of a larger conversation. Choose hashtags that make sense for your brand, and remember that hashtags don’t always have to be dry and descriptive — they can be clever and funny. Make your hashtags specific enough so that your content doesn’t get lost among the 500,000 other posts tagged with something generic like #photo. 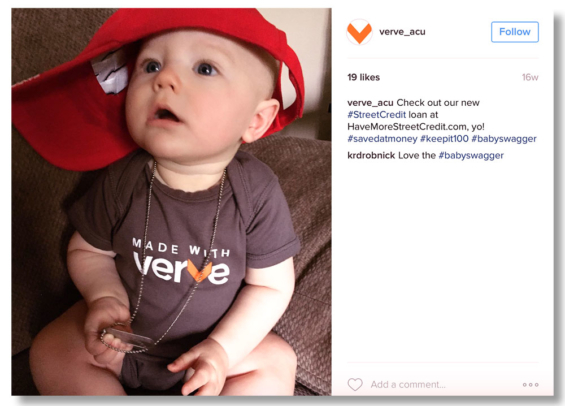 Allison DuPont, an interactive account executive at Pannos Marketing, recommends generating catchy hashtags that Instagram users in your local market(s) will understand and adopt. 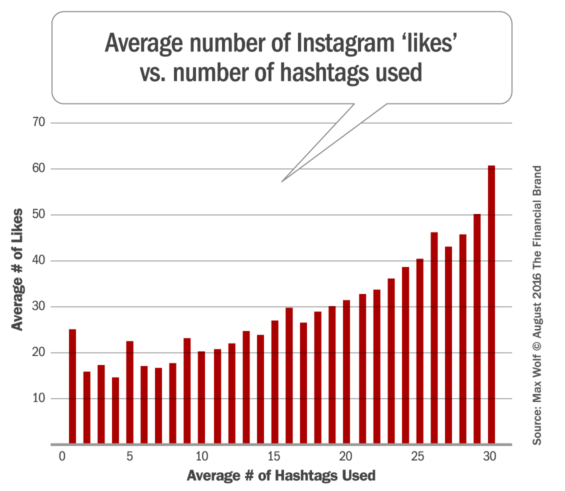 You can also capitalize on some of the more popular hashtags trending on Instagram, like #tbt which is short for “Throwback Thursday,” a hashtag encouraging people to post images from the past that’s been used more than 272 million times. Consider hosting a contest on Instagram — photos for an annual calendar, best Halloween costumes, cute pets or crazy cats. For a contest built around user-generated, create a contest-specific hashtag and ask participants to share their photo or video using that hashtag to enter. In a “like to win” contest, simply ask for an Instagram user to like an update. All those who do so will be entered into the contest. That’s what Woodlands bank is doing in the four examples below. Most financial institutions are engaged in dozens (if not hundreds) of civic events, charitable initiatives and community projects every year. Instagram is an ideal platform to share your stories and foster more engagement around these activities. 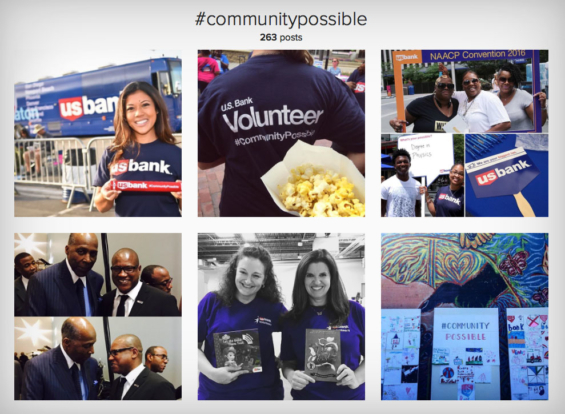 US Bank uses Instagram to document its #CommunityPossible project, a nationwide initiative aimed to inspire 153,000+ volunteers across the country to take part in rebuilding and revitalizing their communities. The three-month, 12,000-mile relay includes volunteer activities centered around work, home, and play — the three focus areas of the bank’s new corporate giving and volunteer program Community Possible. The relay will visit 38 communities across 25 states. As Instagram’s popularity grows, more organizations and business are joining the social network. Support each other by engaging with their content, or even partnering with them. 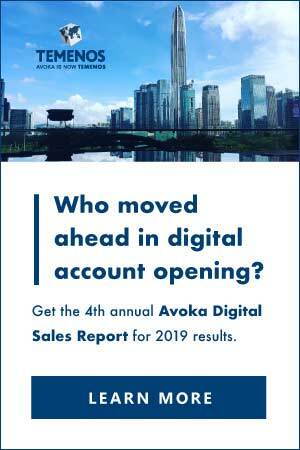 This could be one of the more powerful strategies that community banks and credit unions could implement, since they are so deeply rooted in their area and “having a community focus” is often a central component of their brand strategies. Australian bank ANZ has been a longtime supporter of Sydney’s cultural arts community. Using the hashtage #InspiringLocals, they launched a street art project recognizing local people with inspiring stories to tell. 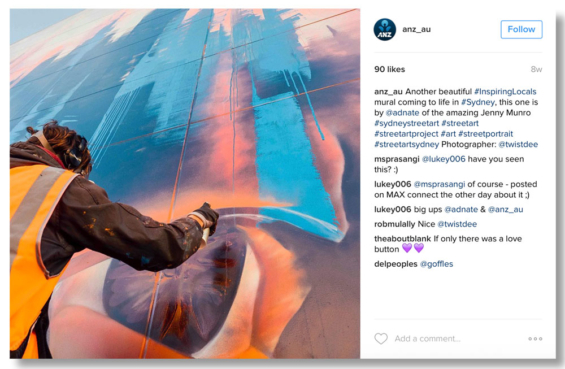 Four of the country’s most celebrated street artists will bring to life large scale portrait murals of those who have made contributions to their communities on unused walls across Sydney. This type of localized community marketing is perfectly suited for Instagram. Tip: If you’re on Instagram, include a link to your institution’s account on your website home page and build your followers. If you are just launching your Instagram initiative, you can set your account to cross-promote the content you share on Instagram at other social platforms. Instagram posts can be shared directly to sites like Facebook and Twitter, which also boosts engagement in those other channels — all with a single post. This can go a long way towards helping you build your audience. This article was originally published on August 31, 2016 . All content © 2019 by The Financial Brand and may not be reproduced by any means without permission.